Stock photo of China Gate next to the Dynasty Building in downtown Chinatown, City of Winnipeg, Manitoba, Canada. China Gate next to Dynasty Building in downtown Chinatown in the City of Winnipeg in Manitoba Canada. 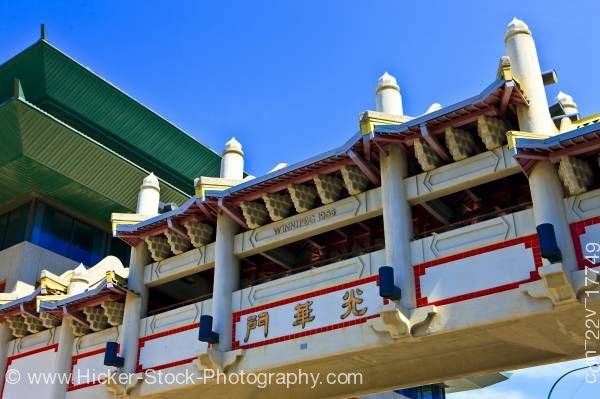 This stock photo outlines the architecture of China Gate next to the Dynasty Building in downtown Chinatown, City of Winnipeg, Manitoba, Canada. China Gate, which leads from Logan Avenue to James Avenue, is the entrance to Winnipeg's Chinatown.